We know what you are thinking right now; calcium, milk, bones, got it. Hold on a minute! There is a whole lot more to this than meets the eye! Did you know that you have more calcium in your body than any other mineral? It’s not only vital for strong teeth and bones, but it plays a big role in making muscles work, nerve signaling, and even cardiovascular health! On average, adults need about 1,000 mg each day. Women over 50 and anyone over 70 needs 1,200 mgs and kids under 18 need 1,300 mgs! 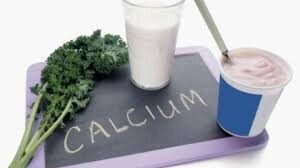 Unfortunately, many people don’t get enough calcium in their diet, especially if they go the vegan route. Most calcium rich foods come from dairy products, such as cheese, milk, and yogurt. There are plenty of other non-dairy sources, but most people are unaware of them. Take a look at the top 10 calcium rich foods you should be adding to your diet to avoid serious health problems. You might think that seeds are just a snack, but the truth is that seeds are miniature powerhouses of nutrition. Poppy seeds, for example, have 126 mgs of calcium in one little tablespoon. That’s a big 13% of your RDA in one mouthful! Sesame seeds have about 9% of your RDA for calcium in that same tablespoon. Seeds are an easy way to get calcium and other nutrients, simply by sprinkling a tablespoon over your yogurt, salad, or vegetable dishes. Some fish have high levels of calcium because of their tiny, edible bones. Sardines and canned salmon are two of the best non-dairy sources of calcium around. A typical 3.75 ounce can of sardines has 35% of your RDA and just 3 ounces of canned salmon (including the bones) has about 21%. In addition to the calcium, these cold water fish are terrific sources of omega-3s. 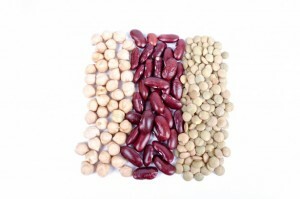 Beans might be the “magical fruit” that makes you toot, but they are also loaded with healthy fiber, protein, and calcium! One cup of white beans has about 13% of your RDA, while winged beans, sometimes called Manila beans, have a whopping 24% of your RDA in that same cup. 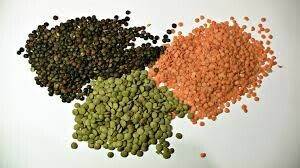 Beans also lower your bad (LDL) cholesterol levels and reduce your risk of colon cancer! You don’t have to go nuts over nuts to get the health benefits from them. When speaking of calcium, almonds top the chart, with one ounce (about a handful or 22 almonds) having about 8% of your RDA. Almonds also have fiber, protein, and healthy fats. Not all greens are equal, at least, not calcium wise! However, the ones that we are going to talk about really pack a calcium punch! Kale, spinach, collard greens, and lambs quarters are all pretty high in calcium. 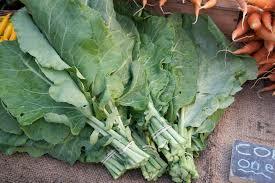 One cup of cooked collard greens has about 25% of your calcium needs for the day! While this vegetable isn’t as popular as some others due to its sour taste, it is loaded with fiber, calcium, vitamin K, and other vitamins and minerals. One cup of cooked rhubarb has about 87 mgs of calcium. This green and red beauty also contains healthy prebiotic fiber, which means it encourages good digestive health. This ancient food is a pseudocereal that is a nutrition super star! 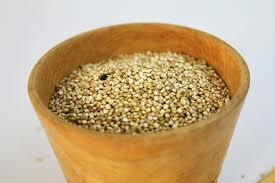 High in folate and minerals, one cup of cooked amaranth has about 12% of your RDA or 116 mgs. If you can find amaranth leaves, they have even more calcium (about 28%) and are very high in vitamin C and vitamin A.
Tofu that has been properly prepared has very high amounts of calcium. This soy based food has a whopping 86% of your RDA in just half a cup! Edamame is a good source of both calcium and folate, with one cup having 100% of your RDA for folate and 10% of your RDA for calcium. While most of us wouldn’t think of fruit as containing calcium, figs are the exception to the rule. 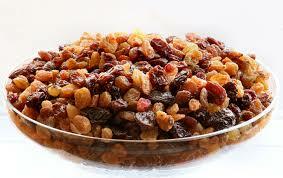 Dried figs are not only rich in fiber and antioxidants, but they also have more calcium than any other dried fruit. One ounce of dried figs has about 5% of your RDA for calcium. Figs also have potassium and vitamin K, which is important for blood clotting. We would be amiss if we left one of the best and cheapest sources of calcium on the planet off of this list. One cup of full fat cow’s milk has about 350 mgs of calcium. 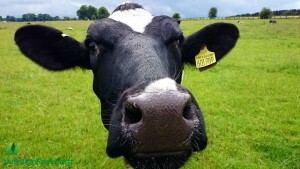 One cup of low fat (2%) cow’s milk has about 290 mgs of calcium. Goat’s milk is another great choice! One cup of goat’s milk has about 325 mgs of calcium. Milk is a terrific source of calcium that is easily absorbed by the body and drinking just one cup can give you between 27 and 35% of your RDA for the day. Look at your average daily diet and decide for yourself if you are getting the calcium your body needs to operate at its peak each and every day!